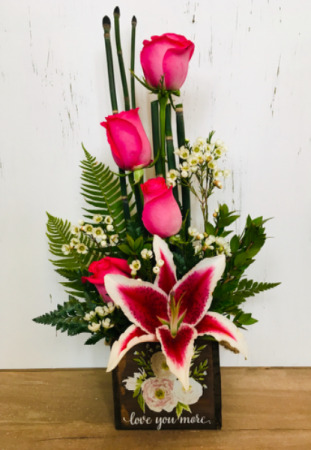 Exclusively at Prairie Friends and Flowers. 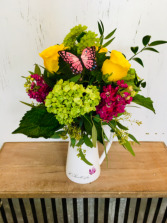 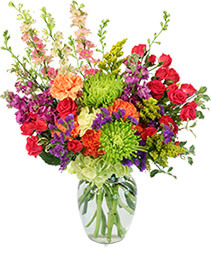 The beautiful butterfly pitcher is a great arrangement with green hydrangeas, roses, and stock. Exclusively at Prairie Friends and Flowers. 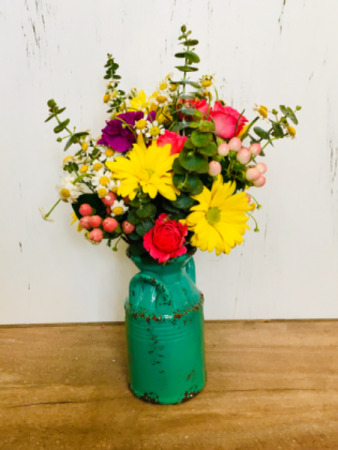 Enjoy this ceramic milk can filled with Spray roses, hypericum berries, daisy mums, and eucalyptus. 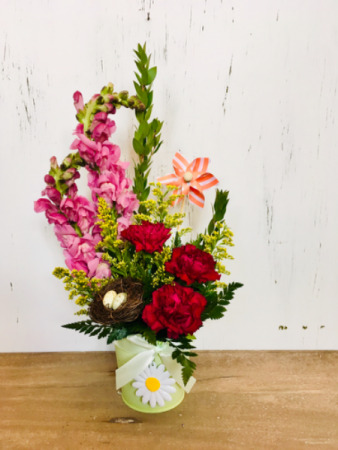 Exclusively at Prairie Friends and Flowers. 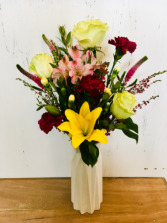 This elegant white vase will be filled with gorgeous lilies, roses, carnations, alstromeria, veronica, and heather. 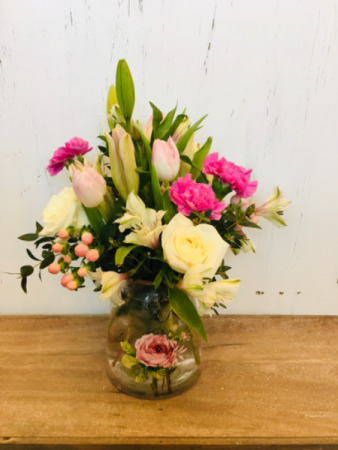 Exclusively at Prairie Friends and Flowers. This fun arrangement contains snaps, carnations, birds nest, and a pin wheel. 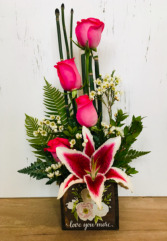 Exclusively at Prairie Friends and Flowers. 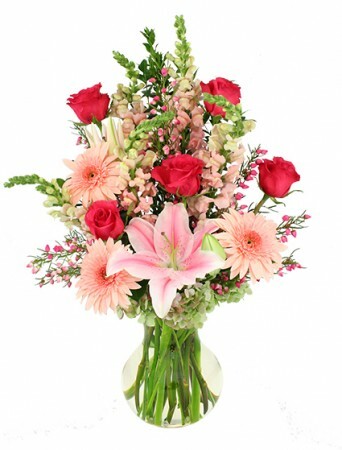 This decorated Love You More wooden box is filled with a fragrant stargazer lily, roses, waxflower and equisetum. Exclusively at Prairie Friends and Flowers. 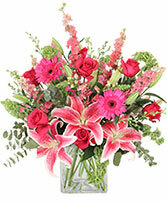 This unique pink rose vase is filled with lilies, roses, carnations, tulips, alstromeria and hypericum berries.